Get UPESEAT 2019 application form direct link on this page. Check step by step procedure to fill UPESEAT application form 2019. Know about the eligibility criteria to apply for UPESEAT 2019 B.Tech admission test for the academic session 2019-20. View UPESEAT 2019 exam dates and application form dates. Refer UPESEAT online registration procedure and application fees payment methods. UPESEAT is the university level entrance examination. The University of Petroleum & Energy Studies (UPES) conducts the UPESEAT exam to offers the admission into the various specializations of 37 Bachelor of Technology (B.Tech) programmes. UPES will manage the entrance exam in both offline (Paper and Pen mode) and online (Computer Based Test) modes. Hence, the candidates who are interested in to get the admission in the Engineering programmes in the specified university can apply to the exam. UPES Engineering Aptitude Test is necessary for admission into the B.Tech programmes in the university. Therefore, candidates who want to write the Engineering Aptitude Test, they must fill the UPESEAT 2019 application form. UPESEAT application form 2019 will be released in the month of September 2019 for the academic session 2019-20. It will be available in both offline as well as offline mode. Hence, the candidates can submit the application form of UPESEAT 2019 either offline or online based on their choice. Applicants can be paid the application fees through Debit/ Credit Card/ Net Banking or Demand Draft. The candidates who have to submit the UPES Engineering Aptitude Test application form 2019 through online mode no need to send the form to the UPES office. 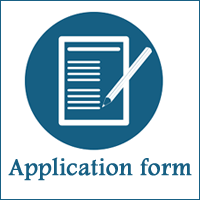 Individuals who want to fill the application form through offline mode, they should send the filled form along with the DD to the corresponding address of University of Petroleum & Energy Studies. Hence, the candidates go through the below sections to can check the eligibility criteria, registration fees payment and UPESEAT 2019 application form filling procedure. The candidates should be born on or before 1st October 1997. The Date of Birth mentioned in the University certificate/ Secondary Education Board will be considered. Admission through UPESEAT (Up to 80% seats): Candidates must pass class 10th & 12th with minimum 60% marks in Physics, Chemistry and Mathematics subjects from any recognized board. For Board Merit: Applicants must pass 10th and 12th examination with 80% marks and minimum 60% in 10+2 Physics, Chemistry and Mathematics subjects. For JEE Mains Merit: Candidates should qualify the 10th and 10+2 examination with 60% in PCM subjects and having JEE main score as 70 marks. Candidates are required visit the official website of UPES to register for the exam 2019. After entering the above details, applicants will get an SMS of user Id and password to the registered Email ID and mobile number. Then the candidates are required to log in to the account by entering the User/ registration Id and password. After login, the applicants have to pay the UPESEAT registration/ application fees of Rs. 1850/-. Applicants can make the fee payment through offline or online mode. Candidates collect prospectus and UPESEAT 2019 application form by sending a demand draft in favour of ‘UPES Fee Account‘, payable at New Delhi / Dehradun along with request letter. Applicants can also get the application form of UPESEAT 2019 by cash payment from admission counters at Ahmedabad/ Delhi / Chandigarh/ Dehradun / Kolkata /Hyderabad/ Mumbai. Candidates have to pay the UPESEAT application fee through Debit/ Credit Card or Internet Banking. On successful registration, applicants have to enter the academic/ educational qualification details in UPESEAT application form 2019. Candidates have to fill the particulars of Class X and Class XII in the form. After completion of filling the details in UPESEAT 2019 application form, applicants need to upload the scanned images of their photograph and signature. The images must be in prescribed size and format otherwise the applications will be rejected by the authority. The University of Petroleum & Energy Studies (UPES) conducts the UPESEAT exam to offers the admission into the various disciplines of 37 Bachelor of Technology (Engineering) programmes. UPESEAT is the university level entrance examination. UPES will conduct the Engineering Aptitude Test in both offline (Paper and Pen mode) and online (Computer Based Test) modes. UPES reserves the right to conduct UPESEAT II for the absentees of UPESEAT 2019 Exam 1, before the declaration of UPESEAT Results 2019. The Merit List would be drawn in common for UPESEAT I and UPESEAT II. Therefore, interested candidates can fill the application form through online or offline modes. Follow the given simple procedure while filling the UPESEAT 2019 application form to avoid mistakes and clarify all their doubts. In this article, we have given the information on the basis of last year UPESEAT Notification for reference only. We will update instantly after the official announcement of the UPES Engineering Aptitude Test 2019 notification. 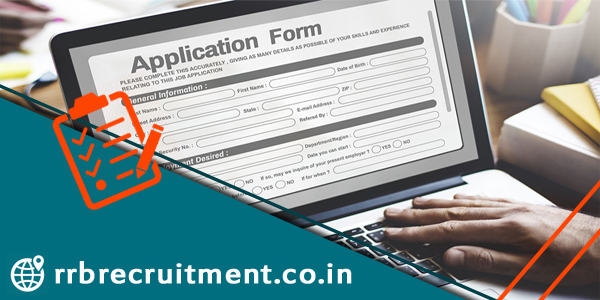 So, bookmark our site RRB Recruitment to check the latest news on UPESEAT application form 2019.